June 2015 - ANALYSISTABS - Innovating Awesome Tools for Data Analysis! 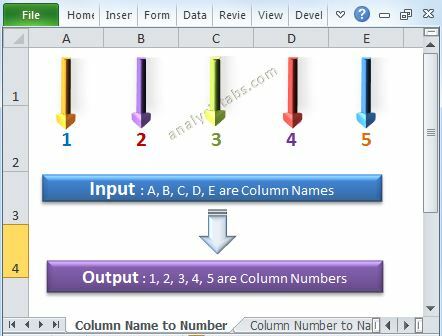 Column Number to Column Name is nothing but converting column number to Excel alphabetic character column name. 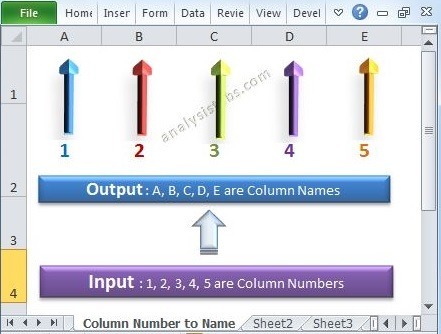 Most of the time while automating many tasks using Excel VBA, it may be required. Column Name to Column Number is nothing but converting Excel alphabetic character column name to column number. Most of the time while automating many tasks it may be required. 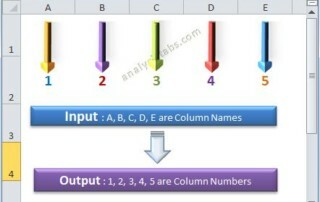 Please find the following details about conversion of column name to column number. You can also say column string to column number. 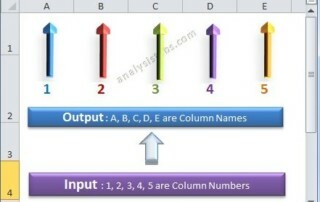 Or get alphabetic character to column number using Excel VBA.